We are still in the water and available for trips this week. The weather is a bit mixed and changeable so plans may have to change as the week progresses, but here are some possibilities…. Monday 5th: All trips available – where would you like to go? Tuesday 6th: Loch Etive trips only today, full or half day option. Wednesday 7th: Loch Etive trips only. 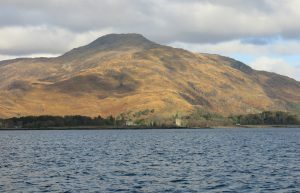 Thursday 8th: Half Day Loch Etive trip, 10am start. Friday 9th: No trips today due to weather. Saturday 10th: No trips today due to weather.